The Movado Museum Classic Watch, defined by a single dot at 12 o’clock, is acclaimed for purity of design unrivaled in the history of time-keeping. 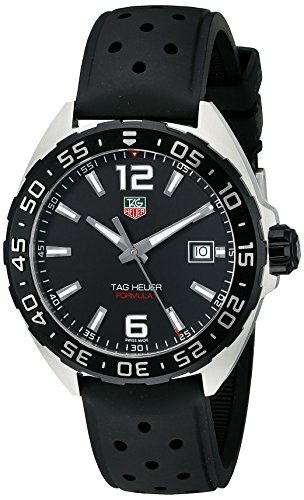 This men’s watch features a 40mm yellow gold PVD-finished stainless steel case and a black Museum dial with a concave dot. The stainless steel and yellow PVD link bracelet feature a secure deployment clasp to ensure your stylish watch always fits perfectly. 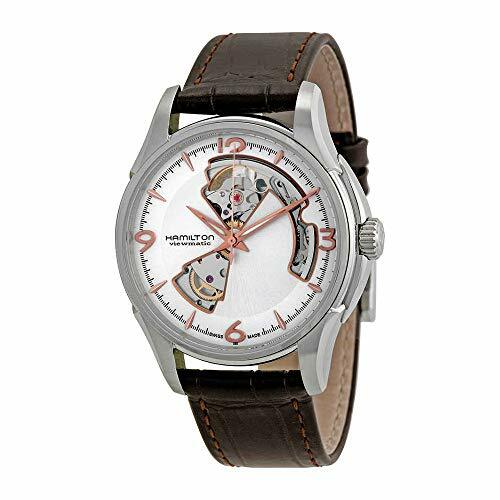 This iconic wristwatch for men includes all the quality components you expect from Movado. 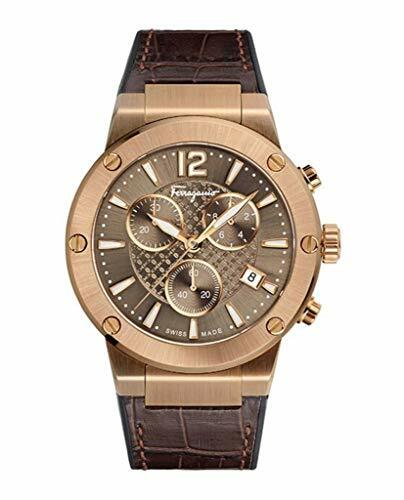 The Sapphire Crystal glass is shattered and scratch resistant and the Swiss quartz movement ensures the watch is accurate, reliable and requires minimal manual maintenance. 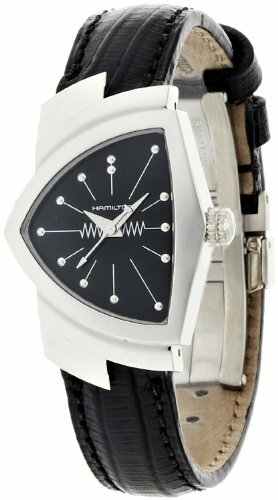 The Museum Classic watch has a water resistance rating of 30 meters. 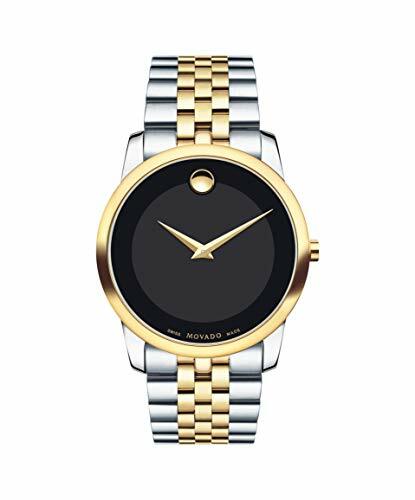 CLASSIC TIMELESS DESIGN: The Movado Museum Classic conceived by artist Nathan George Horwitt in 1947. Defined by a single dot at 12 o’clock, symbolizing the sun at high noon and acclaimed for a purity of design unrivaled in time-keeping history. QUALITY MATERIALS, ICONIC STYLE: Features a 40 mm stainless steel and yellow PVD case and link bracelet and a black Museum dial with a concave dot. 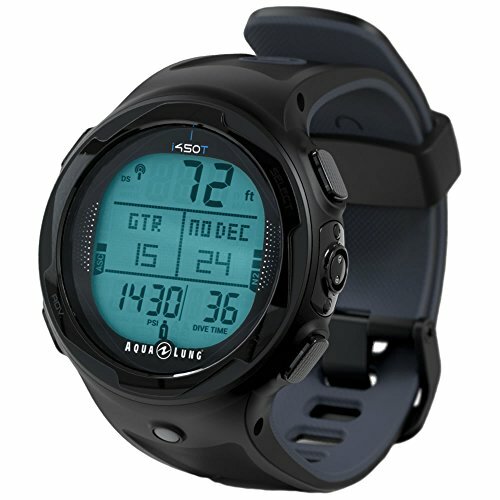 It is water resistant up to 30 meters. 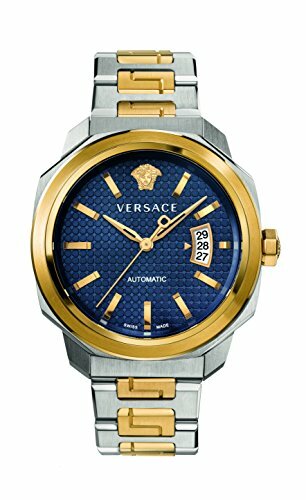 A fusion of trend and tradition makes this Dylos timepiece from the fashion-forward Versace the ultimate accessory for the modern man. The two-tone stainless steel bracelet and handsome blue dial create an office-ready style that will pair perfectly with a suit and tie, while the cushion-shaped case and subtle Greek key motif add a touch of style for a night out with the guys.